If you are a new member, this page has some guidance to help you. Note - if you have problems logging in, please see the separate article on logging in. You will be taken to your 'My Landlord Law area'. This is where all your personal records are kept and where you can view your documents, and messages to and from other members (we have a separate article on you My Landlord Law area). If you prefer to log in with your email as your username, put this in the alternative login field. If you want to have a signature with your forum posts and comments, complete the signature field. For example, if you provide a service to landlords or tenants you may want to put brief details of your business here, and a link to your firm web-site. If you would like a picture of yourself to appear with your forum posts, please upload one now. It is much nicer for people reading your posts to see the face of a real person. Some people prefer to upload their company logo instead, but people will relate to you much better in forum discussions if they can see your face. Note that the picture needs to be really small. It should not be more than 85x85 pixels. (If you have a picture but it is too big, email it to us using the request support service and we will re-size if for you). Make sure the personal contact form box is ticked or no-one will be able to contact you. Unless you prefer not to be contacted, in which case it should be unticked. But I hope you won't do that! Part of the value of Landlord Law is that you can make new contacts. If you want to change your username or your email address you need to submit a support request for us to do this for you. You cannot change these yourself. Note that apart from your username (which shows on your forum posts) you details will only show to admin (basically Tessa Shepperson, and her web designer). Now start to explore the site! The information you see will depend on your membership type (standard or +Plus). 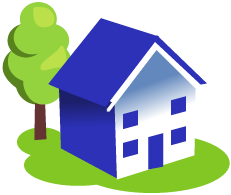 You will find a links index block with links to the main landlord or tenant areas to your right. Have a read around the different sections, generate a form or letter to see how it works, and introduce yourself in the forum! Most people find the site fairly straightforward, but you will find a separate article on finding content. The main way we keep up to date with members now is via the Landlord Law newsletter. New members are now signed up automatically, but if you are reading this and are not receiving the newsletter you can sign up >> here. The newsletter generally goes out on the second Thursday in the month. Please try to at least glance at it - there will generally be news about any new legal developments, news about what's new on Landlord Law and an article. Landlord Law is a social media site. We want you to join in the conversation! So please do posts in the forum. Even if Tessa is just answering someone's question - your comments will be valuable. You will find an introductions thread at the top - please introduce yourself and say a little bit about yourself. Please also join into any conversations that interest you. You can also send messages to people you meet in the forums, as we have an internet messaging system. To send them a message just click on their name or picture and you will see the link. When a message is sent to you, you will see an alert (if you are logged in to Landlord Law) at the foot of your screen. We have a separate article on using the forum which please read. If there is anything not covered in this quick start guide, take a look at the rest of the articles in this support area. If you cannot find what you are looking for - send a request support ticket. We hope that you will want to stay with us long term (many of our members have been with us for years) but realise this is not what everyone wants. You can cancel your membership whenever you want, although refunds will normally only be made if you cancel within 14 days of joining or (if you forget to cancel) within 7 days of your recurring payment being made. However if you are outside these periods we may consider refunding anyway, depending on the circumstances. You will find separate articles on cancellation and on our money back guarantee. We are always interested in hearing feedback from members. For example if you find things which are not working as well as they should, or links which don't work. If so we would be really grateful if you could let us know, particularly any broken links as we can then go and correct them (please be sure and tell us which page it is on - if you could copy the url / web address that would be great). If you have any comments on these support articles, there is a discussion area below.